44 pages booklet, 7 postcards, a stamp, a bottom, a "ONOCODE" in the white paper box. 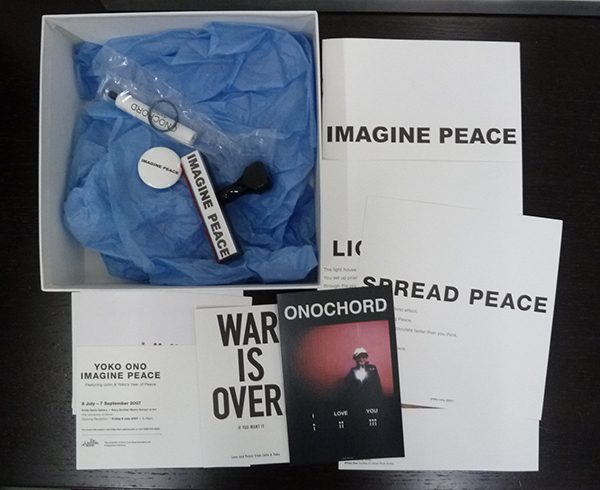 this box was created in conjunction with Ono’s exhibition at the University of Akron. 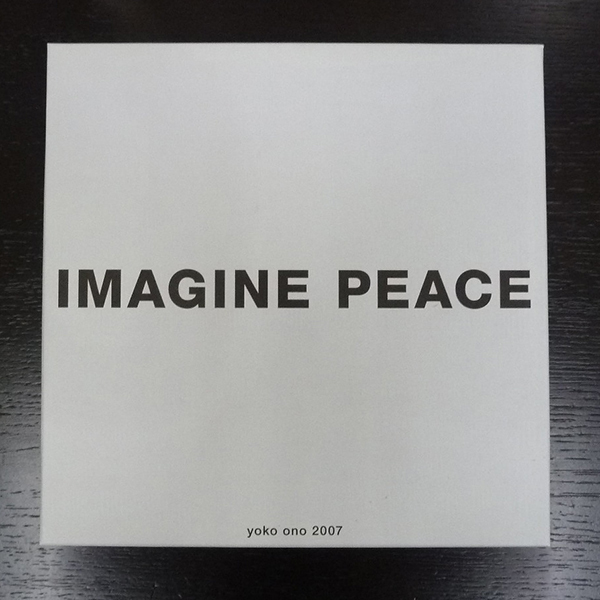 Included a booklet, a rubber stamp, a button, postcards as peace paraphernalia, and a description of her Reykjavik-based Imagine Peace Tower. The Onochord is also included, which is a small keychain light, used to flash a representation of the term “I Love You.” Ono thinks of each of the pieces in this box as seeds that can grow into a larger movement of change.